The opportunities are endless for today's business owner to reach potential consumers and convert them into lifetime customers. But in this modern landscape, users want to engage in a virtual community where they can be advocates, share ideas, and get the latest scoop on new product offerings and services. Making your presence known in a social space is essential for growing your business. Let's face it - Anyone who's anyone is on social media these days - Not being on social media is like not listing in the Yellow Pages in the 1980's. If you aren't utilizing these channels wisely you are limiting your audience and making it harder for potential clients to contact your business easily. A social media page is now like using a search engine. Consumers want information that is easily accessible and they want it at the stroke of a key. You want to be ahead of the pack by greeting your visitors with amazing content that is up to date and ready to go viral at a moment's notice. 72% of online adults are using social networking sites. 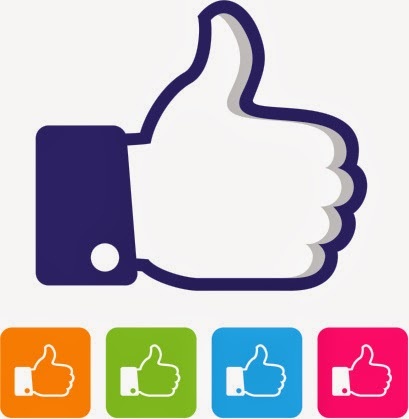 Maintaining your reputation - Be it positive or negative, engaging with your customers through social media can turn a potentially negative experience into a positive highlight for your business. Earlier in 2013 after a hacking incident, Buffer showed great poise in the management and response to such an experience. Customers sometimes just want to have a voice. We all know the reach a negative impression can stretch and often it goes unnoticed or unresolved. Having that personal conversation with the customer shows them that you are not only engaged, but place great customer value for the service or product your business offers. Making a positive customer experience allows your reputation to shine and in turn, social advocacy will start turning its wheels. Maintaining your reputation allows your fans or followers to make suggestions for improvements, share the latest updates, and voice opinion on which products or services they would like to see most often. Beating your competitors at the game - Having a popular social media page with a large following increases your exposure over your competitors. Being able to engage directly with potential customers gives you a strong advantage over a competitor who isn't online. By being on social media when your competitors are not, you're already delivering better customer service. This is a great place to start developing trust for first time buyers. It signals that you care about your customers if something went wrong. Pushing content-based and promoted ads to the Facebook News Feed in 2014 will prove to give you that competitive edge. Even spending $1 on Facebook ads per day will get you in front 4,000 more consumers than your competitors. That's a win in my book. Social media is a fun place to engage - Showing fans your authenticity is very important in the eyes of today's social media goers. Being in command of your social media page allows you to be more personable when it comes to interacting with your customers. You can reply directly to their comments and re-adjust your tone to accommodate the given situation. Just like a search landing page, it is important to make your content exciting and interesting. Your page needs to stand out, because it is typical for a searcher to spend less than 20 seconds, before deciding whether or not they will take an action in a buying decision. Make the page pop with visual appeal by utilizing photos, videos, and banners. Social media gives you an easy opportunity to improve brand awareness and build your identity. Be quick to the punch and put a human voice to your brand - one that people, your customers can connect with on a personal level. Now more than ever Google is placing more recognition on social behavior - In a vast digital arena where Search Engines grade your rankings based off social interaction and reviews, really depends on a business owner's willingness to obtain technical prowess. Not having a social page can cause your presence to decrease on Google's radar and slip down the search results, potentially loosing visitors to your website. Social media will help you increase the amount of traffic your website receives. Social media is an SEO ranking signal and has grown increasingly important. Being talked about and mentioned on social sends a positive signal and drives Google to seeing your site as more authoritative, which will help you rank better in organic SEO. 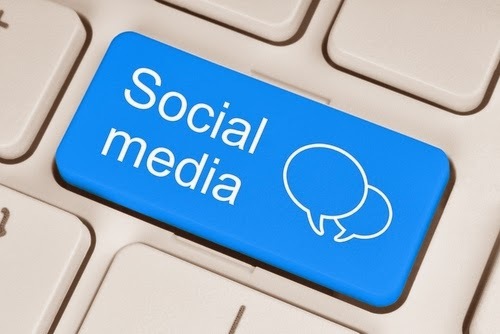 So what are the main take-aways for your business to become social savvy? Be Proactive! - Build your social media page to fit your business' consumer base and start creating a buzz! Make your content engaging and most importantly, have fun! Engage your Customers and Create Social Advocacy - Personalize your brand to your consumers and let them know what real customer value is all about! While it takes time to be a social media Jedi, social media engagement is no longer an option but an essential part of your online business plan. About The Author: Anna Johnson is a Senior Digital Marketing Analyst at seoWorks and takes a great interest in everything marketing, social media and internet related and enjoys sharing her knowledge on these subjects. Did you find this article helpful? Please let Anna and myself know by leaving us your valued comments below. Until my next post on the basics of business networking, I wish you every success with your business! Since you are reading this article, you most likely have a business or corporate event coming up and you need to find a suitable location. Business events are nowadays crucial for setting up collaborations, networking, offering awards and education. With this in mind, it should come as no surprise that there are basically hundreds of different venues that you can consider. Many can end up feeling overwhelmed to see such a variety. Event success is highly dependent on where it is held. This is a reality that we cannot dismiss. The good news is that the internet can help out a lot. 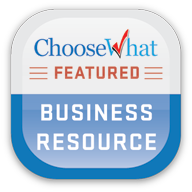 There are always websites that list business venues so that you can see what options are available. For instance, if you live in London, Venue Search London can be used. Make a list of all the options that seem to be suitable based on the information that you find about them on the internet. Then, try to narrow down your list by looking at events held there in the past and how successful they were. Before you decide to actually consider a business venue location, you need to ask yourself some really important questions. For starters, you need to know what the available budget is for the event. Then, you have to think about how many people will attend and the business outcome that you expect. Based on these questions, you can actually end up making a good list of venues that are suitable. However, things do not stop here. Questions have to continue and need to be focused on the exact event type that is organized. For instance, do you need to host people for more than one day? Do you need food or entertainment? To put it simple, lay down on paper everything that you imagine your event to need. Then, see if it is possible with the considered venues and if not, try to find some that do. You basically have to think about everything from parking to extra staff needed. Organizing a successful business event is not something that you do in a week or two. This is especially true when referring to those that require overnight stay or are held for more than one day. It is always a good idea to have a team that is in charge of the entire process and that you plan everything way in advance. When referring to choosing a suitable business venue, there are many mistakes that are made and unfortunately, in most situations people end up faced with problems that they did not see coming. As a very simple example, let us say that we talk about a conference. A speaker might require projection equipment. Does the venue have this or do you need to rent one? Such questions appear as you organize an event. To sum up, we cannot tell you what venue you have to consider since this varies from one business to the other and from one city to the next. However, we can tell you that the most important thing is making sure that the venue can accommodate exactly what you had in mind. Never hurry your research since this is definitely the most important part of the process. Consider as many venues that seem suitable at first glance as possible. Your initial choices will be based on available budgets but keep in mind that negotiations are sometimes possible. You cannot dismiss a venue before meeting with a representative of the company that owns it. Those meetings are the ones that will actually showcase if you can hold your event there or not. Did you find this article helpful? Are you planning a business or corporate event? Please let me know by leaving me your valued comments below. 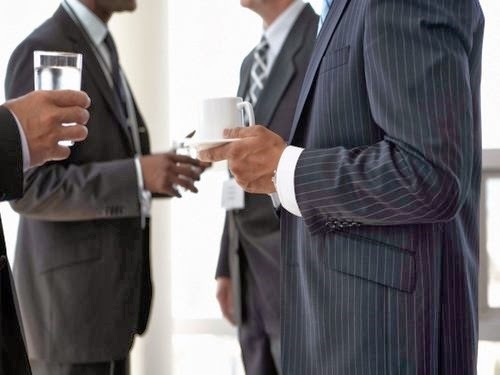 How Easy Is It To Hold A Successful Networking Event? Until my next post at the end of the month on 5 ways you are losing engagement by not using social media for your business, I wish you every success with your business! See you back here on Monday 31st March! 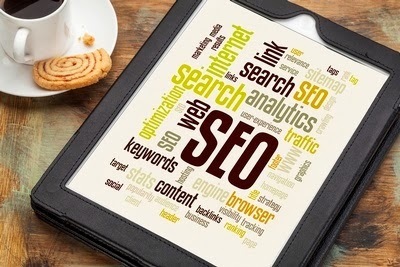 Today, SEO is critical to the success of your website's online marketing campaigns. For best results, you've got to cover every aspect of SEO, and that includes using social media the right way. Learn how Facebook can help your SEO. When it comes to building a successful SEO strategy, you can't ignore social media, especially Facebook. When used the right way, Facebook's power to drive traffic is phenomenal. How do you use Facebook to help your business and improve your SEO? Today one of the many factors that Google considers in ranking is your social media presence and chatter. Facebook provides a more legitimate means of determining the human interest in your company, beyond just how many links you may have bought or artificially built to your site. While SEO experts like to debate about how strong Facebook links really are, the truth is simple: the more people talk about your company on Facebook, the better your website will rank in the search engines. Regularly posting updates on your Facebook page will help your website earn new links even if your SEO campaign is taking a breather. Remember: the age of your links and how many new ones you have pointing toward your site is also a ranking factor! Probably the most important role of Facebook for SEO purposes is the supply of relevant information about your company's audience. Websites are typically a one-way platform where businesses can stand on a soap box, so to speak, and blast information and ideas at whoever's visiting. On the other hand, Facebook is much more interactive and serves as a forum where conversations can occur. Using Facebook will keep you in better touch with your clientele and help you get to know more about the people who either are or will become your customers. how customers describe their products or services. You can translate this knowledge you gained from Facebook into marketable keywords. If you see that a certain topic has sparked conversation and comments, you can translate that into a new post for your blog. Using Facebook and social media to build relationships with others in similar industries can help your SEO efforts tremendously. When you connect with other website owners via Facebook, opportunities arise to link to each other's sites via guest posts or even interviews. Relevant links like these are some of the best links to have in terms of increasing your site's rankings and overall traffic. When it comes right down to it, SEO is all about reaching your audience. Facebook is the best social media tool you can use to do that well. If you do it right, your Facebook page should work a little bit like a second website. You can use Facebook to drive traffic to your commercial website when you release a new product or promotion. While you might want to save all of your SEO tricks for your main website, using a lightweight version of your overall SEO strategy on your Facebook page will improve your page's success and strength. Make sure you use keywords wisely when choosing the title of your company's Facebook page. As is the case with any SEO strategy, it is important to carefully track the effectiveness of your Facebook efforts in your overall web strategy. You will find that consistently updating your Facebook page will eventually translate into better search engine rankings. Create a plan today for your Facebook use and see how it helps your SEO. About The Author: Julie Crawford is the internet marketing director at rural wireless internet service Broadband Blue. Did you find this article helpful? Please let Julie and myself know by leaving us your valued comments below. Until my next post on Wednesday on finding the perfect venues for your business events, best of luck with your SEO efforts! See you back here on Wednesday! The world's most popular brands can be found both online and offline. At the same time, many small businesses hope to reach a global audience via Internet marketing. Thanks to the modern technology, physical boundaries are no longer a constraint. Business owners and service providers can reach customers from all around the world with a few clicks. However, marketing online means added expenses for many companies. Finding the perfect balance between traditional and digital marketing can be difficult. That's why you need to experiment and try different strategies to see what works best for your business. 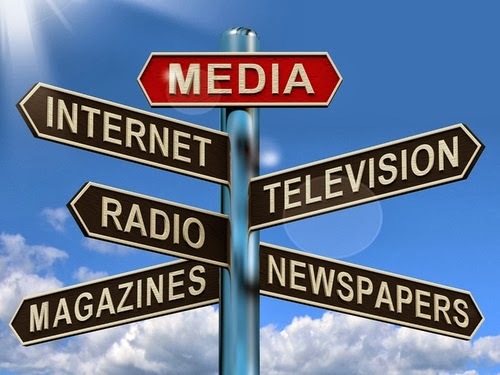 Traditional media is on the decline. Most people use the Internet to read news, search for information about their favourite brands, and stay up-to-date with the latest technology trends. Only a few are still buying newspapers and print magazines. Digital marketing has surpassed traditional methods of marketing such as radio and newspaper ads. It makes perfect sense for companies to reach out to their prospects on the Internet. While direct mail marketing and multi-channel marketing still work, print media has lost its power in today's digital world. 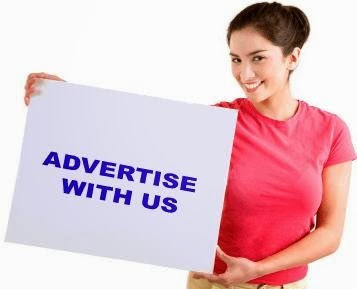 Advertising products and services online is more affordable and convenient than paying for radio or TV ads. Commerce is shifting more and more online. 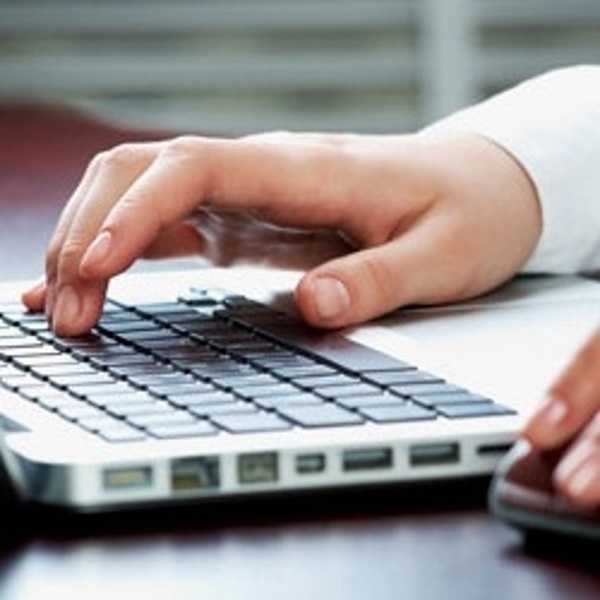 Statistics indicate that over 61 percent of Internet users research products over the Internet. Approximately 92 percent of business owners who have blogged several times a day acquired at least one customer through their blog. Recent studies have shown that 20 percent of customers have purchased something because of ads they saw on Facebook. More than 64 percent of smartphone users are shopping online from their mobile devices. These numbers show how popular Internet marketing is. If you don't promote your small business online, you are missing out on potential clients. Digital marketing offers measurable results and involves lower costs. 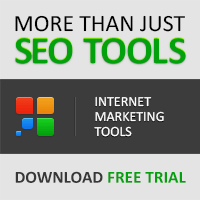 Business owners have access to a wide range of tools for tracking their online campaigns. They can check the number of clicks through sponsored links and assess the success rate of campaigns through Google Analytics and other programs. These features do not exist in radio or TV advertising. Unless your traditional marketing campaign has a direct call to action, such as "call this number" or "check out this website," there is no way to assess your results in real time. Whether you use email marketing, social media marketing or SEO, promoting your business online will save you time and money. While it is true that many business owners remain sceptical about using digital marketing, its benefits cannot be denied. People who find your brand online become familiar with your products and develop trust. You can interact with your target audience on social networks, blogs, forums, chat rooms and other online platforms. Sending out tweets or sharing industry news on Facebook is free and can dramatically increase your exposure. If you want to reach a local audience, you should use both traditional and online marketing. Think about who your customers are, how they buy, and where they go. For example, if you own a clothing store, you can distribute flyers and brochures in your area. At the same time, start a Facebook fan page and then set up a Pinterest account. Share photos of your products, connect with potential clients, and encourage them to visit your clothing store. Offer special deals and promotions to those who "like" your fan page or follow your brand on Twitter. When you find a balance between digital and traditional marketing, you not only engage your prospects, but also give them a reason to choose your brand. Promoting your business online is one of the best ways to learn more about your customers. The data they leave behind indicates their buying preferences as well as their concerns. Business owners can use this information to assess customer behaviour, request feedback, and improve their products. Did you find this article helpful? Do you use both online and traditional marketing strategies for your business? Please let me know by leaving me your valued comments below. 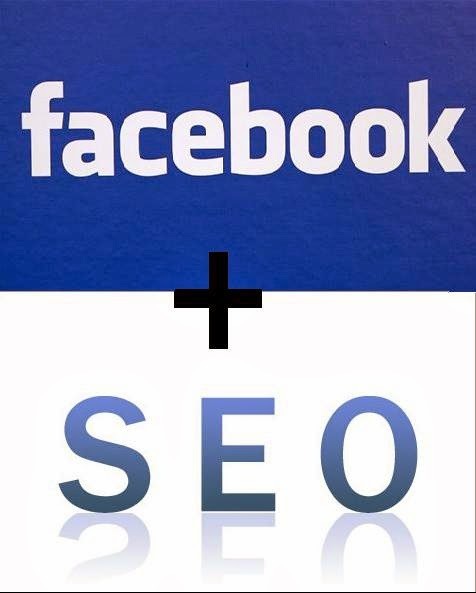 Until my next post on Monday on how Facebook can help your SEO, I wish you every success with your marketing! See you back here on the 17th of March! So you've decided that now is the time to set up your own business. Congratulations, it's a brave move but in my experience it's the best decision you will ever make! Now that you've decided to take the leap, there are 5 key steps to getting set up that will stand you in good stead. For me, this is always the hardest step. There are so many products and services to potentially get involved with that it can be hard to choose. My advice would be to focus on an industry that you have worked in previously or have a good knowledge of. This will give you a head start in your planning as you may already understand the competition and opportunities in the market. One thing that works well, particularly when going down the product route, is to look for either an exclusive or a way to create a product under your own brand name. Plenty of suppliers will label your products under your brand name, good examples of these for getting started in selling products online are Alibaba, VapeLab, and Print Clothes. These sites and more will let you create custom branded products, helping your business to stand out amongst the crowd. If you go down the service route, try to not simply copy other ideas. You may be entering a marketplace with plenty of competition, but try to find a way to differentiate yourself and give yourself a unique selling point (USP) that will appeal to potential clients. This can be tricky to do, dependent upon your niche. There's nothing wrong with borrowing elements of competitor's strategies and amending them to create something unique. How long can you survive without taking a wage? What's the lowest wage you can live off? What are your startup costs? Do you really need a physical premise, or can you work from home? Will you need to hire people straight away? These types of questions will give you an idea as to how much funding you need to survive that first crucial year, both as a business, and with your personal finances. There are a number of options available for funding, from bank loans to private investment. Crowdfunding has also become a credible option with sites such as Kickstarter successfully funding numerous startups with creative ideas. Crowdfunding ensures you don't have a high level of bank interest or a single powerful investor applying pressure. Once your business plan is set, and you're confident about your plans it's time to make the leap. This may mean leaving your current employment if you are currently earning a living, or it may just mean formalizing the business. Register yourself with the relevant authorities including the taxman at an early stage to avoid any surprises later on. Once you've made the leap and are out of your current employment, make sure you make a big noise around your launch. Get friends and family to share your brand socially, and make your launch a big deal. This will help with step 4, your marketing strategy. You will no doubt have thought about your marketing strategy, in terms of how to generate new customers whilst planning everything out and creating a business plan. However, when you are actually live and running your business the marketing strategy becomes even more important. Making a big noise at launch should be complemented with other activity in the form of advertising, content marketing, social media, event attendance and other marketing dependent upon your niche. The problem is, the word of mouth element from your launch may be keeping you quite busy in terms of work at this early stage (hopefully), which means that you don't have quite as much time to focus on your marketing strategy as you need. Make sure you keep some time back from your schedule to continue with your marketing efforts to keep work coming for the long term. Many startups fail because their initial business development from word of mouth is strong, and they don't feel the need or have the time to continue to invest in their marketing for the long term benefit of their business. Believe it or not, the setting up part of your business is by no means the hardest part. Once you've made that leap into self-employment or running a limited company, you need to make sure you survive the first few months. The first year is always the biggest challenge, but the first few months can be particularly challenging in terms of generating new customers, getting your name out there, and dealing with issues like cash flow. Prepare for this carefully in your business plan - expect the worst and make sure you can survive it and then you will be in a position to thrive as your reputation grows. Best of luck with setting up your new business - by careful planning and forethought you can give yourself a much higher chance of success. Strap yourself in for the ride, there will be plenty of ups and downs, but running your own business may be the best decision you have ever made. About The Author: Bryan Staggers is an online entrepreneur who runs numerous ecommerce sites such as VapeLab. Bryan enjoys writing to share his experience in setting up businesses, with a particular focus on online revenue creation. Did you find this article helpful? Please let Bryan and myself know by leaving us your valued comments below. Until my next post on Wednesday on how to find the perfect balance between traditional and online marketing, have a great week ahead! See you back here on Wednesday! Branding today goes far beyond logos on t-shirts, cute coffee mugs, or even expensive television commercials. The Internet has transformed the way branding takes place and businesses need to adapt. 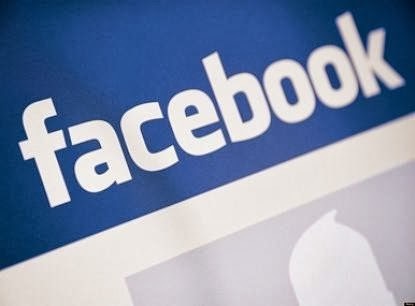 In particular, because so many people are active on the site, Facebook enables businesses with a strong branding strategy to move light years beyond the competition. A vital part of successful branding on Facebook starts with a digital logo. The best designers keep color, visibility, and pixel-size in mind as they create business logos to best suit their brands. More than any other elements, simplicity and clarity are essential for a memorable, effective logo. Next, businesses need to showcase their logos in the right places on Facebook to reinforce their identities. Because the profile and cover images on a Facebook page are focused on the most, the logo should be placed in either of these spaces to have the biggest impact. For example, on the Facebook page for the national restaurant chain Applebee's, what initially started as their name paired with an image of an apple has been reduced to only the apple; simplifying their brand identity for quick consumption. Importantly, the image is currently showcased as their profile image. Although Applebee's 5 million likes on Facebook didn't come entirely from their logo, it can be assumed that the memorable, simple, red apple did help draw people in. Even for a smaller business, a strong, well-featured logo on the site will serve as an effective cornerstone to a comprehensive brand-building strategy. Good images are heavily featured on Facebook and are required for gaining new likes and user engagement on the site. Businesses that take advantage of strong logos will likely gain more followers on Facebook and solidify their brands. Brand identity on Facebook also relies on what is shared on a business page and the language used to share it. A business that creates a unique, relatable "voice" in their posts will be more likely to gain an identity and build their brand on the site. Applebee's, for example, recently posted, "Steak the long way home. Stop at Applebee's tonight" and featured a picture of one of their steak dishes. With the quick, humorous, enticing post, Applebee's helped build a memorable, unique identity for itself. As a business increases visibility with an active and detailed Facebook page, their web presence also increases. Consistent and pertinent updates will keep a Facebook page high on the list of common search engines, which is essential to business success in the Internet age. Notably, this attention to branding is useful in increasing a business's Search Engine Optimization (SEO) ranking as well as increasing viral commercial activity. Better SEO means more business. Facebook enables clients or prospective clients to have an interactive experience with a company. As the marketplace is flooded with new businesses, the Facebook platform provides away for clients to compare services and goods. Ultimately, maintaining an accessible presence via Facebook shows brand consistency and company vitality. Watching the competitors has also never been easier, nor has developing creative ways for a brand to stand out. With easy access through a few clicks and scrolls, the entire competitive marketplace is available to peruse. To take advantage of this, many companies are hiring new designers and using their most effective branding teams to scour the Internet - and Facebook in particular - to scope out the competition. With Facebook, the brand can easily evolve, keep up with trends, and maintain corporate quality assurance. Facebook branding allows businesses to not only increase site traffic, but also strengthen their corporate ideals in a fun, non-threatening, "lifestyle" based fashion. This is seen through the incorporation of not only a strong logo and identity, but also good content. A well-executed, highly visible brand presence on Facebook only heightens traditional marketing principles. For steadfast branding with a modern flair, Facebook brings virtual commerce to life. About The Author: This is a guest post by Sarah Brooks from free people search. She is a Houston based freelance writer and blogger. Questions and comments can be sent to brooks.sarah23 @ gmail.com. Did you like this article? Please let Sarah and myself know by leaving us your valued comments. Until my next post on Monday with 5 steps to setting up your own business, have a relaxing weekend! See you back here next week! Online marketing is a practice that should be put into use by any company who wants to get ahead with their business. This should come as no surprise to anyone, but it can get a little tricky sometimes when your market isn't exactly in the mainstream. 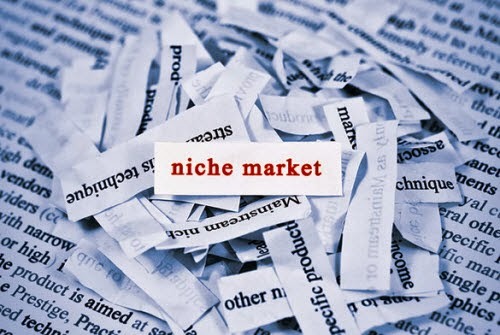 Niche marketing is aiming for a subset of a larger market of which a product is focusing on. Targeting a specific group of consumers with a product or service because of their lifestyles, interests, or any other criteria that set them apart as that niche is a great way to get sales for your product in that market. But, what if your product itself is technically a niche? Let's say you're trying to sell an item that has a specific purpose, and is only really in demand for one application. For example, I previously worked on a marketing team that promoted an industrial cable and hose protector for construction and factory use. That product realistically had, at best, a few dozen people looking to purchase. That doesn't mean it wasn't worthy of a marketing campaign, however. Marketing a niche product online is almost an art. It takes a little creativity and a lot of drive to get the word out there. Most companies already do a bit of niche marketing, focusing a certain product to a certain audience. For example, Coca Cola markets its bottles and cans to homes and retail locations, but also directs its syrup and fountain products to restaurants. Everyone does it, so developing a strategy to market your niche product should benefit by simply adapting already known and accepted strategies. The key to niche marketing is targeting, and targeting carefully. You need to find a place where no other offers for products similar to yours exist. Target those markets with advertisements, specials, or just general information about your product to generate buzz for it. Identify the gaps in the market where your product fits in, and fill it. Filling the gap in the market online is a little easier than it sounds. The first step, if not already taken, would be to establish a web presence. Optimizing your website for your niche is essential. Use Google to find out what keywords are being searched for in your market, and optimise your site and headings with those keywords, which will make your site easier to find for your potential customers. Utilize social media to get the word out about your product. For the cable and hose protector company I worked for, social media was laughable at best before I got there. Who wants to read Tweets from an industrial cable protector company? Some people do. Finding the right followers for your online presence is your next step online. 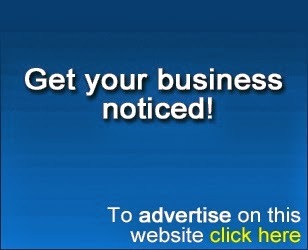 Participate in industry and market blogs or other social media pages to promote your page. The reason you create a niche product is because at least some people will buy it, so go out and find those people. Finding them and getting them to follow isn't enough, however. Interaction is essential to social media. Posting daily and not following through is a great way to lose followers. Comment, like, and interact with your customers. They'll see that, and appreciate it. They may even recommend your product to a friend. Once you master your online presence, focus on marketing as a whole. Your product or service is unique. Sell that idea. 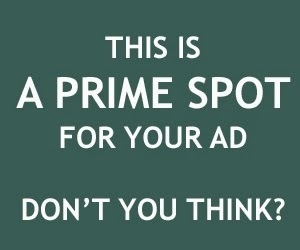 Companies who offer more mainstream products don't have to worry too much about the advertising, but you should. People generally don't know what they want until they're told about it. Go out and tell some people! About The Author: This post was written by Eric Kneff, a marketing specialist for Titan Construction, a New Orleans based Construction Company. He has interests in marketing and business development. Did you find this article helpful? Please let Eric and myself know by leaving us your valued comments. Until my next post on Friday on Facebook branding for online business, enjoy the rest of the week! See you back here on Friday! In the latter half of 2013, Google launched yet another update that had SEOs and digital marketers on the edge of their seats worrying about the effect it would have on all their previous hard work. Hummingbird, the latest update, may not have wreaked as much havoc as the infamous Penguin update a few years ago, that undid pretty much every SEO's efforts thus far, but there are still things you need to be aware of when pushing your business to the top of Google. 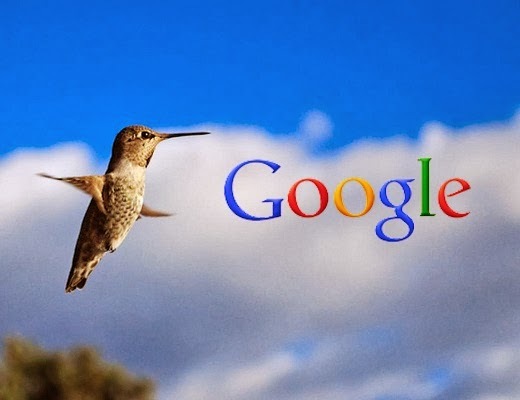 Like all Google updates, the intention of Hummingbird is to improve the user experience of the search engine, making the search more intuitive to present only the best possible results. Although past updates such as Penguin and Panda were so destructive due to them targeting low quality back linking practices, they had the same aims at heart, to improve search for everyone involved. Thankfully though, the Hummingbird update isn't quite so harsh with its methods of improvement. Technology has a huge impact on the way we search, and with smartphone and tablet technology allowing us to speak our search request rather than type it, the search terms we use are becoming more conversational. Without necessarily meaning to, when you speak a search query you don't tend to self-edit as much as you would if you had to physically type it. When typing something into the search box, we have become accustomed to just using the key words, where as with voice searches we tend to ask full questions, and therefore Google is taking this into account when bringing up relevant results. Another way in which Google is trying to provide improved answers to the questions we ask through search is using a new feature called Knowledge Graph. This takes the form of a box on the right hand side of the search page, and provides you with different concepts linking to the original search term. So rather than scrawling through all the pages of search results to find your answer, a sort of summary if you like is displayed to help you find the answer you are looking for faster. So What Does The Update Mean For You? Based on the main changes brought about with this recent update, coupled with the key changes of previous updates, we have put together some tips on how you can get the most out of the improvements to search that Google continues to make. Content marketing isn't just a trend, it's now a way of life thanks to the continued focus on natural, conversational language. As mentioned earlier, searches are becoming longer, with fuller sentences and more natural language being used instead of being edited down to just the bare keywords. For this reason, simply filling content with relevant keywords isn't enough anymore. You need to write for the reader, not for Google. With Penguin coming down hard on back linking, you wouldn't be blamed for being extra cautious about link building. But Penguin's motive was to punish those back linking to thousands of poor quality sites just for the sake of linking, and reward those who linked to genuine, relevant sites and focused on quality not quantity of links. Therefore, links are still important to the SEO process, you just have to make sure those links are high quality sites with genuine relevance to your site. One current worry regarding Knowledge Graph is that there will come a time when users will not have to even leave the Google search page to find the information they need, as it will all be displayed in the Knowledge Graph. This would mean websites that are offering simple, popular facts could lose out on the traffic typically gained from offering this information. To avoid this, it's advisable to provide more valuable, detailed information that go deeper than the popular facts, that people searching for more than basic information would not find simply by glancing at Google's Knowledge Graph. All the updates since Panda and Penguin, we can see an ever emerging theme of Google trying to become more intuitive, offering ever more personalised results without undermining the efforts of SEOs. As it stands, this personalisation process is only set to continue with future updates, and the key take-away from this is that if you offer detailed and valuable content containing long tail key phrases over simple keywords, you will be on the right track to appear in searches. About The Author: Sarah is a Search Marketing Executive for international digital marketing agency Silverbean. Did you find this article helpful? Please let Sarah and myself know by leaving us your valued comments below. As ever, if you want to stay up to date with the latest blog posts, don't forget to follow on Facebook and Google+, via Email (maximum of one email per day), on NetworkedBlogs or by subscribing to our blog feed. Until my next post on Wednesday on marketing a niche product online, have a great and productive week ahead! See you back here on Wednesday! 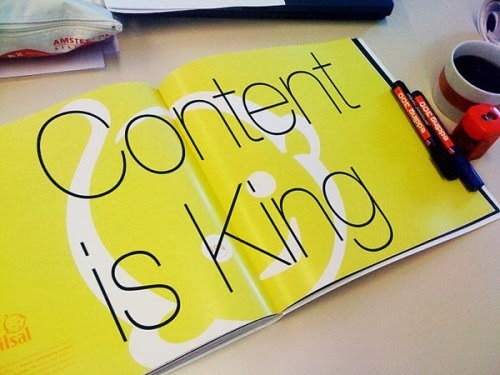 The fact that content is and will always remain King is not something new that you've heard in 2014. Great content that provides valuable information and is easy to read has always been the top-most standard for the web - albeit one that managed to get lost in the past few years. Webmasters and online marketers learned that they could manipulate the search engine spiders to their advantage with fluff content and keyword stuffing, tactics that were indeed quite effective in enhancing search engine rankings of their websites. However, with Google leading the way, search engines have now become completely intolerant of anything less than great when it comes to quality of web content. So if you're hoping to increase your website rankings, you need to go back to the very basics and once again begin to treat content as king. How can you ensure that the content you are writing will get marked as high quality and not spam by the big G? Well, first of all, you need to write articles that have no errors in either grammar or spelling. This includes the difference between the USA and the UK spellings of various words. If you are writing for a blog in the USA, you don't want to have UK spellings in it; otherwise it could get marked as low quality. Critical to your success on search engine result pages: Content is the single most important factor that will determine your success or failure in the fight for higher rankings on search engine result pages. You can no longer trick the search engine spiders with cleverly used keywords, duplicated content, multiple domain names, and hidden keywords within your text. Instead, you have to focus on creating content for actual readers rather than content that is simply put together to impress search engine spiders. What this means is that you will be required to create original content that not only provides value to casual readers but specifically to your target customers or niche markets. Content that engages your target audience, invites comments, and can easily be shared by readers is what you're hoping to create, so as to enjoy search engine success. Helps build your brand and online reputation: Internet users have become extremely savvy and careful about the websites that they patronise. If your brand does not enjoy a positive online reputation, you will find it extremely challenging to instil trust in prospective clients, which in turn will impact your sales negatively. Internet consumer trends have repeatedly shown that one of the most effective ways to build trust within the online community is to provide great content. If your content can answer important questions that your target audience may have and if it continually provides value it can help to boost your online reputation and your sales significantly. So, whenever you want to produce content, make sure you are creating something that people will enjoy, find useful and want to share with their own fans and followers. This will ensure your long-term success in the online marketing sphere and no search engine is going to penalise you for producing low quality content. By Jove, there is more than enough rubbish and inaccurate information on the world-wide-web. The last thing we need is to be doing is adding more rubbish to it. About The Author: This article was written by Steve Mac. Steve is an avid blogger who likes nothing better than to write a good article on SEO or online marketing. Did you like this article? Please let Steve and myself know by leaving us your valued comments in the comments section below. The New Year is upon us. As our current year provided its own share of opportunities and challenges, 2014 promises to be no less of a roller coaster for the globe, with events such as the Federal Reserve no longer keeping the interest rates at rock bottom levels, China stopping their stockpiling of US treasuries, China again with its territorial saber-rattling in southeast Asia, parts of Europe still getting back up on its feet, and the uncertain affairs of state between our country and Russia, seemingly rising back to power since the disbanding of the USSR so many years ago. For whatever happens in the coming year, there will always be the compulsion for a few courageous people to break out of their chains of employment and set out for themselves as entrepreneurs. Truth be told, there is never a truly right or even a wrong time to do so; it is a combination of presented opportunities, personal determination and ability, and simple dumb luck. The cycle of borrowing, spending and paying back debt is what keeps the modern economy flowing, and in our nook of the globe, the Federal Reserve controls interest rates. They have decided that on 2014, the cheap money won't be so cheap anymore, and that means it will be a bigger challenge to turn out a profit from borrowed funds. This is a negative, for the most part. Companies big and small will have to exercise more fiscal discipline as it becomes harder to borrow and pay back money. Cutting down on the excess and practicing a little austerity here and there will go a long way in keeping the bottom line in the black. For the entrepreneur starting out, the growing pains will all the more be painful with a steeper interest rate. Make certain that you will make each and every cent of your seed money count. Willem Buiter, the head honcho economist of Citigroup, thinks 2014 will be the year that the global economy will start picking up pace, compared to previous years behind it. It might not be anything dramatic or ground-breaking, but a consistently growing global economy is preferable to a stagnant or shrinking one. Barring any unanticipated (I have trouble believing that any major geopolitical events are unanticipated by the powers that be) events in the world, there are no expected bubble bursts or double dips, according to their very extensive, near 100-page outlook. For the US-based entrepreneur, putting these two factors together seems to suggest that if one were to start a business, perhaps it should be on foreign soil with friendlier interest rates, but an equally pro-investment environment. If part of your business idea involves cheap labor and manufacturing via China, then you might want to hold off for this year, or perhaps find another country to do your offshore operations. As I mentioned before, China just decided to stop buying US treasuries, a move that could be considered a passive-aggressive offensive economic maneuver at best. There's also the already-heated territory dispute China versus pretty much the rest of Southeast Asia. The US has a ton of allies in that part of the world, like economic partner Japan, South Korea, and the Philippines. Given the volatility of the situation, and China's propensity to enact inflammatory moves against countries that oppose them, your investment suffers the additional risk of a hostile government seizing it. Fortunately for you, there are other countries that have low-cost yet trained (or trainable) labor forces that can accommodate your entrepreneurial ambitions. In the same region, Indonesia and the Philippines appear to be the best prospects. Don't just take this article's word for fact, dig into the Internet to do more research and see the actual numbers. I wish you the best of luck, entrepreneur-in-the-making. Onward to prosperity in 2014! About The Author: Michael Green is a veteran of the rat race, having worked at a business consultancy firms in San Francisco and New York for most of his young adult life. He left on his fortieth birthday to become a fully self-employed entrepreneur, and settled in San Diego to pursue various opportunities within the city. Did you find this article helpful? Please let Michael and myself know by leaving us your valued comments. Until my next post tomorrow on 7 things you need to know about SEO in 2014, have a great Tuesday! See you back here tomorrow! These days there are many creative ways to reach your customers, and social media is something you should embrace in order to get your product out there. Social media is remarkable for many reasons, but one of the most interesting aspects of it is that it gives potential customers a glimpse into your personality and personal voice. Here are five ways to easily use social media to your advantage and start attracting new customers today. Logging in, updating and staying active is key. Merely setting up an account is just the beginning. It isn't worth it if someone goes through the effort to set up social media avenues, only to abandon them and never update with posts. This is a surefire way to kill your social media presence before it even gets off the ground. Too many times "We should have a blog!" or "We need a Facebook fan page!" comes up in meetings, and then nothing ever comes of it because no one is actually assigned the task. If you are running a business, maintaining a social media presence might sound like the last thing you want to do, so don't. Depending on your company's size and needs, you can go from having a team of folks doing this, to hiring an intern that can easily update content. The key is to make sure it is designated within someone's job, so it happens. Everyone can help with ideas and updates, but just make sure there is at least one person whose job it is to come up with posts, solicit feedback from the company, and get creative with fresh unique posts that will attract an audience. Pictures and graphics can make your social media posts much more inviting and lively. Simply by adding in a few more details, people are more likely to click through your material. Pictures of your product, events or staff on social media posts can really help bring traffic to your site, and it's so easy to do! A wall of text or boring posts without and graphics can be boring. If you have a unique logo, put it as your avatar so that it stands out and does the advertising work for you. If doesn't all have to be directly about your business. If you decide to have a blog on your site, or post to quite a bit to sites such as Facebook, use these avenues to engage with your customers. Linking to articles and news clips relating to your field is a great way to gain customers interest and trust. By actively engaging in updates in your field you will become a part of a larger community and stand out as a possible industry leader. This is a great, simple way to gain more of a following. A quick post detailing a sale or new product is easy enough to do and will boost your visibility. By bringing traffic to your social media sites, these can then be linked to your home site that either provides more information on your business or sells your product. Remember, without that link, these are potential customers that you may not have gotten otherwise. Social media is a great way to easily make new contacts and customers online. Your online presence can reach a vast audience, and starting an account costs you absolutely nothing besides a few minutes of your time. It is well worth it to easily get online and get started having social media work for your business - and it's the future, so don't get left behind! About The Author: Hailey Harper is a marketing strategist and writer whose work has been featured on over 30 websites. Her primary interests are strategic marketing, social media, SEO, and business management. Did you find this article helpful? Please let Hailey and myself know by leaving us your valued comments in the comments section below. 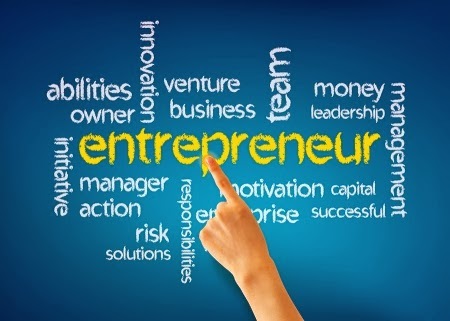 Until my next post tomorrow discussing whether or not 2014 is the year to go entrepreneur, enjoy the rest of your day! See you back here tomorrow!